My set at Dour Festival this year was definitely one of the highlights of this summer. It was actually the first festival I ever went to, so it was cool to see how much things changed throughout the years—both for Dour and for me. The sequence I’ll describe starts at about 36:00 in the video below. There must be plenty of videos of me playing this track this summer—I think I’ve played it at nearly every single gig. I simply love it, and so does the crowd. It works extremely well. It’s a pure dance floor destroyer. Start mixing in the following track when there are two minutes left in “Kawasaki”. Bring in new track at half volume and the bass EQ down after 32 bars. Put the volume up after 64 bars. Filter the second track (high cut) while bringing in half of the bass in the short break on “Kawaski”. Bring up the bass of track two while bringing down the bass on “Kawasaki”. Add some reverb on the final echoed notes of “Kawasaki”. You can hear this one if you listen to my set from Dour. It’s new, but can’t say much more about it at this stage. I can say that I’ve been playing it at so many festivals this summer. It’s a trance-inspired techno track that seems to work like crazy. Start mixing “Wisdom” two minutes and 20 seconds before this track ends. Wait until the break has passed and bring in “Wisdom” at full volume and EQ down. Bring up EQ of “Wisdom” and bring down EQ of the track that’s still playing. Add some reverb on the final notes of the track that was playing. I’m lucky enough to have made some tracks that fit well in my set and truly represent the type of music I love. So I try to make about half the tracks I play at each gig my own. It’s important to me also to evaluate how something sounds after just coming out of the studio. This one was released right before summer on Sleaze Records, Hans Bouffmyhre’s label. At about two minutes from the end of “Wisdom”, bring in track four. Bring track four up at half volume at 64 bars with low EQ down. Bring up low EQ from track four halfway while putting the volume fader completely up. Gradually bring down low EQ of “Wisdom” while bringing up low EQ from track four. Let “Wisdom” finish without doing anything; it works best like that. This is another one I can’t tell much about at this stage. It’s a very stripped-down one containing some haunting or hypnotizing elements. About two minutes before this track ends, start mixing in “Video Siren”. Bring “Video Siren” up at half volume after 32 bars with the low EQ down. After another 32 bars, bring up the volume completely and increase low EQ. In the final break of the track that’s playing, filter (high cut) “Video Siren” and put it back to normal when the track that’s playing drops again. At this stage, the low EQ of “Video Siren” is halfway up. This creates a very bassy effect. Gradually increase low EQ from “Video Siren” while decreasing low EQ from track four. Add reverb on the final notes of track four. 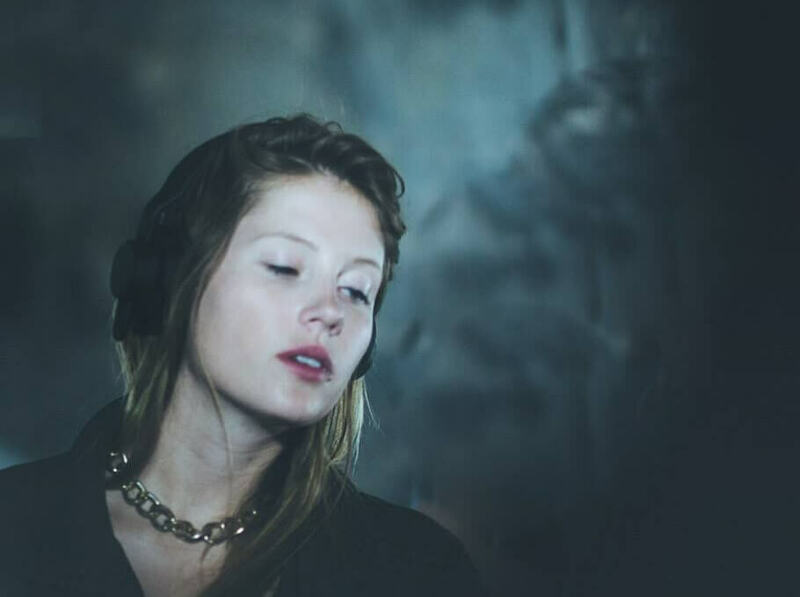 Charlotte de Witte‘s new EP, Closer, is out now on Mary Go Wild. Pick up a copy here.